The benefits of developing a native app are endless. Users prefer native app experiences built specifically for their devices' operating systems. Each operating system has its own distinct look and feel, which native apps readily preserve and leverage for better functionality. Sacrificing this familiarity with a cross-platform framework can be off-putting to the user experience in certain cases, and since apps are developed for the users, their opinion is paramount. 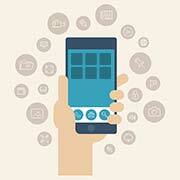 Outsource2india has been providing high-quality native mobile app development services to clients around the world. We follow a standardized mobile app development process to create functional and innovative native apps at affordable rates, and within a pre-determined budget and time frame. Native apps provide reliable, responsive, and extremely fast experience to users while being able to tap in to the wider functionality of the device including camera, compass, accelerometer, swipe gestures, notifications, etc. Our team developed an iOS app for a customer who is an international provider of security solutions. They needed a solution for their security system allowing them to monitor security cameras using mobile phones. 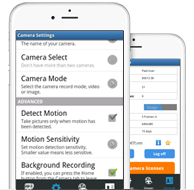 This mobile app allows users to check on their home or office security cameras remotely at any time. 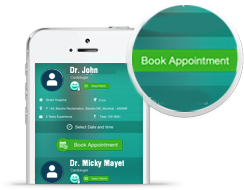 We developed an app for a UK-based health service provider who wanted an app which would be able to schedule patient-doctor appointments based on the availability of the doctors. The app we developed helped the client to streamline resource allocation in a highly efficient way. Why Choose Outsource2india for Native App Development? Get Your Native App Developed by Us Today! We have the required expertise, infrastructure, and highly qualified and experienced resources to create innovative mobile apps across the mobility spectrum and various platforms such as Android, iOS, Windows, etc. Outsource2india has been in the mobile app development domain for a decade now and have completed several successful client projects around the globe. If you have any kind of native mobile app development requirement, feel free to get in touch with us, or talk to one of our representatives, and we will help you go through the process.